The Beyond: Two Souls soundtrack is composed by Lorne Balfe and produced by Hans Zimmer. — The soundtrack is expected to be released simultaneously with the game on October 8th, 2013. The “Beyond: Two Souls Official Soundtrack” features 16 tracks from Balfe’s original score and is expected to be available worldwide on Amazon, iTunes and other digital music services. It’s important to note that the game’s Special Edition only includes 4 of the 16 songs. 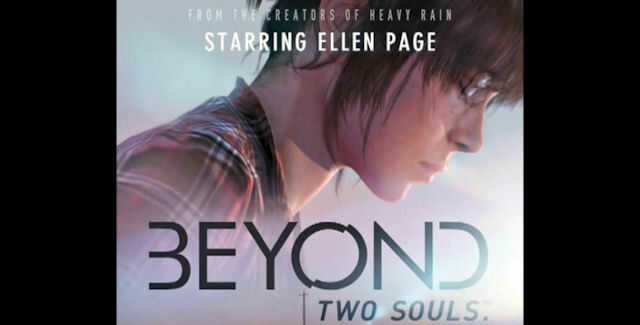 Beyond: Two Souls, the revolutionary game by Quantic Dream that stars actors Ellen Page and Willem Dafoe, follows the life of Jodie Holmes as she discovers what may lie after death. The game features an original score by composer, Lorne Balfe. — Here’s his official video that lets you listen to a selection of the original music from the full song list. The video starts with “Jodie’s Suite”, which is the music from the Beyond: Two Souls Official Trailer, and concludes with “Beyond”. Lorne Balfe’s soundtrack will be available with a Special Edition of the game. — Here are the 4 full songs included with that Soundtrack OST, namely: “Beyond”, “Jodie’s Suite”, “Dawkin’s Suite”, and “The Infraworld”. Also wanted to add a little note at the end to say “Rest In Peace” to Normand Corbeil, the writer on Heavy Rain, who originally composed the soundtrack for Beyond: Two Souls. He passed away on January 25th, 2013 from pancreatic cancer while he was still working on Beyond: Two Souls. After his passing, Lorne Balfe stepped in to replace him. Right after you finish the game you’ll see a “in memorial” message appear from the developers to remember all he’s done for Quantic Dream. Special thanks to Sony PlayStation for letting me post these Special Edition songs. What’s your favorite song on the Beyond: Two Souls soundtrack? By Doug Le: He is a Gamer, Entertainer, and Speaker who loves making video game walkthrough guides. Thank you for watching! Read his posts and watch his video game playthroughs here and connect with him on Twitter, Google+ and at Youtube.